60% of our total floor space is sociable space so that there is a ton of room for you to chill, or play games, meet people or watch DVDs. We have 2 large modern kitchens, for you to cook for yourself or for us to cook for you, as we have in house cook-ups almost every night for just the cost of the ingredients. We are relaxed and chilled-out people who need to be at walking distance of everything from major sights, corner shops, supermarkets, pubs, clubs and restaurants, so we have located ourselves in the middle of it all, AND in between major public transport methods if walking is too far. We have smoking areas for smokers on our terrace overlooking the view of the Basilica, and the rest of it non smoking for non smokers. We not only offer free tea and coffee, but we will also sell you cheap beer and cider in case taking the lift downstairs is too much for you. We have entertainment central with a darts board, table football, guitar heroes and even chess to stop you from getting bored. A week with us will include karaoke nights, backpackers' parties, live music with open mic nights, mad epic pub crawls, party boats, bath parties, cheap drink nights and much much more. Of course we are flexible and open to suggestions, so you let us know what you like and we'll see if we can get the group along. 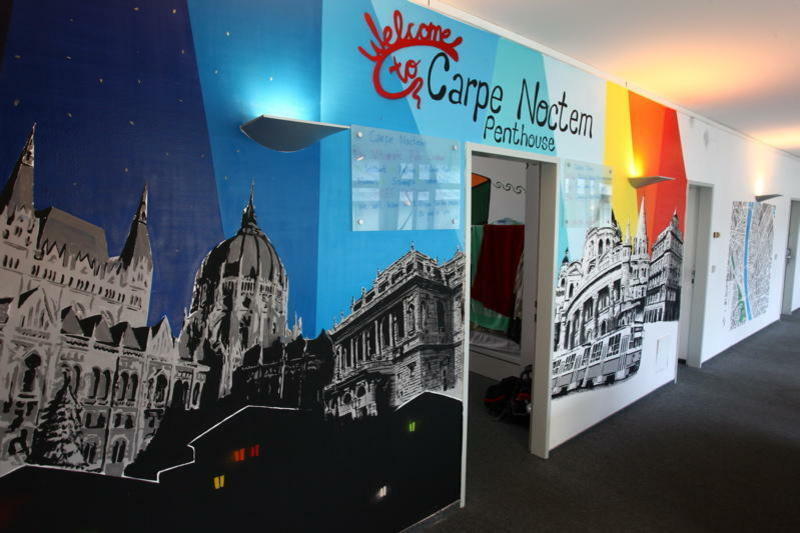 Carpe Noctem Vitae is suitable for single travellers and small groups who like to meet people, but also has the space for larger groups as well, as long as you want to get involved! *We do not accept stag/ bachelor/ bucks parties here but alternatively you can book one of our sister hostels Grandio Party Hostel or Retox Party Hostel.